This is one of our clients who have been utilizing our hoses for years. Hope you enjoy the article and pay them a visit! ForbesLifeI cover drinks, travel and food, and the intersection of all three. 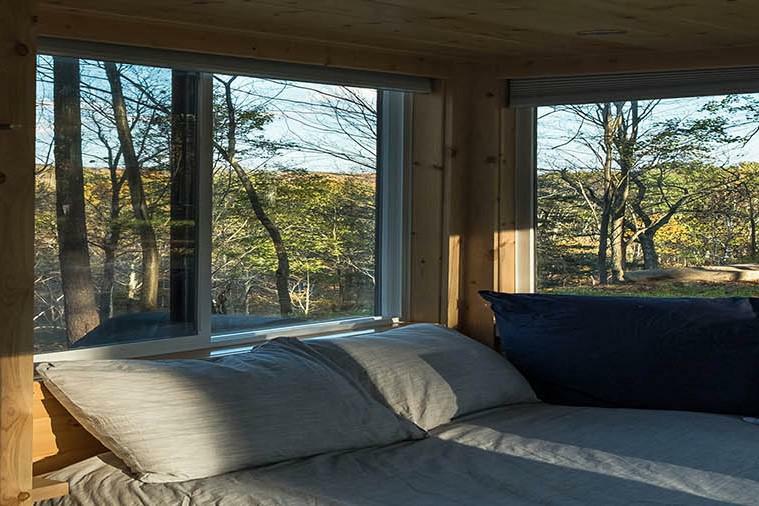 If you've ever fantasized about downgrading your life and living a minimalist existence, Tiny House Resorts in the Catskills of upstate New York, provides the opportunity for a test run. A series of thoughtfully designed little homes sit on 28 acres near a waterfall. Each house has a private patio with outdoor dining table, grill, and fire pit, plus access to a heated resort pool which overlooks the creek. They're great for groups looking to overnight in nature without camping or staying in a hotel. So how did such an unusual resort come about? The project was the brainchild of former New Yorker Bob Malkin. Malkin’s early career was in steel and plastic manufacturing. This knowledge base, plus his love for antiques, advertising, and over-sized pop art, led to the creation in 1978 of a Soho retail store featuring over-sized everyday objects rescaled for fun and artistic value. Think Big! created 6 foot pencils, 5 foot crayons, all as a play on scale. Bob and his partner Phyliss made the decision to purchase the retail space that Think Big! occupied, a decision that would become the foundation upon which A Tiny House Resort was later developed. In 2017, a long term tenant in the West Broadway commercial coop, decided not to renew their lease. That's when Malkin made the decision to sell the property and reinvest. A Tiny House Resort was born. When did you know it was time to leave NYC and how did you pick South Cairo? I left NYC after experiencing first-hand the disaster at the World Trade Center. Upon moving up to the Woodstock area immediately following September 11th, I started my search for waterfront rental properties. I was stunned by a house perched on a cliff overlooking Niobi Falls in Palenville. I purchased The Waterfall House and began Waterfall Rentals in 2004. When a long term tenant in the commercial coop that housed Think Big! opted not to renew the lease, the decision was made to sell the long-held property. We reinvested the funds through a 1031 exchange. Thus, Think Big! A Tiny House Resort was born in 2017. 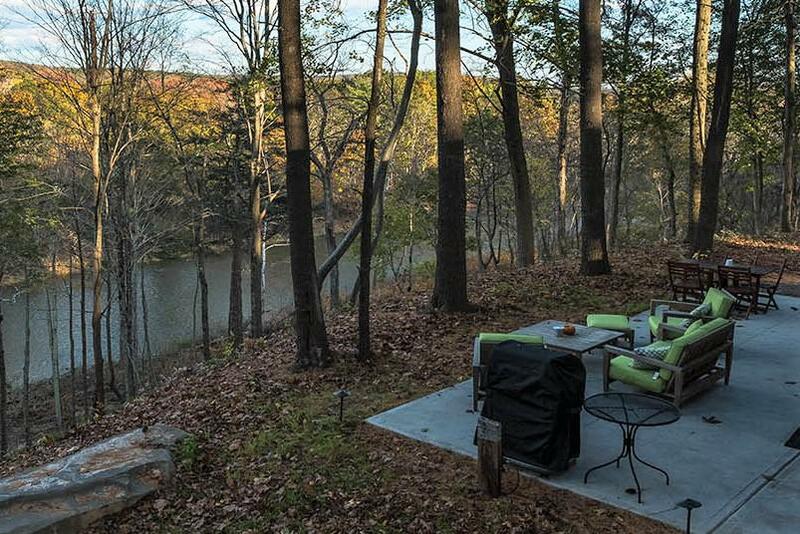 Located just 2 hours from NYC, the site was selected due to extensive Catskill Creek frontage, an onsite waterfall, and 40 acres with over a half mile of stream frontage. We are centrally located between Woodstock, Saugerties, Hudson, and Catskill. Winter sports are close by with both Hunter and Windham Mountains just a short drive away. Why did you decide to get into the lodging sector of hospitality? In 2004, the purchase of The Waterfall House and its success as a vacation rental, led to the expansion and purchase of additional waterfront properties in the Catskills. Including A Stream Side Cottage, A Waterfall Farmhouse, and Think Big! A Tiny House Resort. All my properties are located within a 2-hour drive from NYC. What was South Cairo like when you opened your first property and how are things changing? We are part of a major revitalization that is happening in the Cairo area. There are negotiations for a well-known chef to open on Main Street, a major dance company has purchased a residency retreat in the area, and I would like to line Main Street with giant sculptures to increase visitors. Local business are all seeing an influx in tourism as a result of A Tiny House Resort. Why did you decide to build tiny homes? These structures seem to be on-trend now, no? Guests do not need large houses, and the tiny houses are perfect for a weekend getaway. Guests love the cozy feel and all of the houses are fully equipped with everything, including queen bedrooms, and full bathrooms with flush toilets, Wi-Fi, AC, heat, and complete kitchens. They are truly fully-equipped tiny homes. Of course, I am still Thinking Big! I have identified many major cities that have countryside with great views, waterfront properties, just a two-hour drive away. I’m actively seeking venture capitalists to consider this new type of resort. What are the challenges of building in the woods? The infrastructure in its entirety, was built from scratch. The septic, water, electric, cable, internet, pool and generators were all built to our specifications to meet the demands of a full, four-season resort. We met and exceeded the challenges of living in a tiny house in the mountains in the winter. 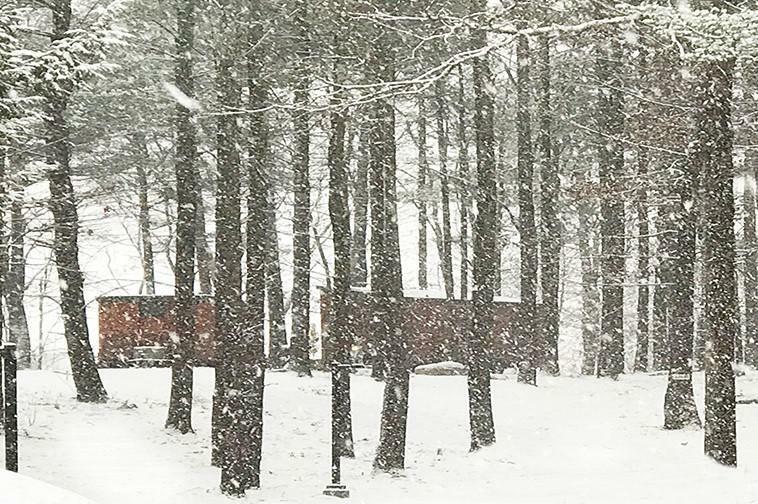 The beauty of snow from the giant glass windows in the tiny houses overlooking the creek, well, it is a view that must be experienced. Do you ever miss the city? What frustrations do you have with being in the countryside? I found I love living in the country because of the beauty, the sense of community, and the friendships that people have time for, versus the impressionable life living in the city. I do not miss rush hour traffic, congestion, nor pollution. What advice do you have for other city-dwellers who are eager to move to the country but are unsure of how to make a living?Just do it; move and you will figure it out.